The world of digital collectables is upon us. Combining humanities innate desire to own something unique, with the capabilities of transparent and borderless transactions, digital collectables are poised to bring crypto and the blockchain into the mainstream. One of the first iterations of digital collectables was CryptoKitties. You may have heard of it. At the start of 2018, after one month, CryptoKitties touted over 180,000 users, a market cap of more than $20M USD, and more than 10 ‘kitties’ had sold for over $100k. So why did it take off? CryptoKitties gamified the blockchain. Allowing users to not only own their own ‘Kitty,’ but also to interact with them by breeding and creating new kitties. With the potential of digital collectables quickly realised, it wasn’t long before ECOMI took the reigns, to bring licensed digital collectables to the masses with ECOMI collect. Facilitate the purchase, trade, and sale of these collectibles. Facilitate a second-hand marketplace for owners to make their own purchases/sales to other users. Create a platform for owners of digital collectibles to interact with their purchases/characters. Thus far ECOMI Collect will feature augmented reality capabilities, as well as the addition of props, outfits, scenes. Powered by the OMI token, digital collectibles (be they characters, artworks or any other form) are issued on ECOMI Collect as a non-fungible token (NFT). A non-fungible token is one that is unique and can be clearly distinguished from other tokens. Whereas most crypto-tokens, for example, Ether or Bitcoin, are designed to be identical and interchangeable for other tokens of the same nature. 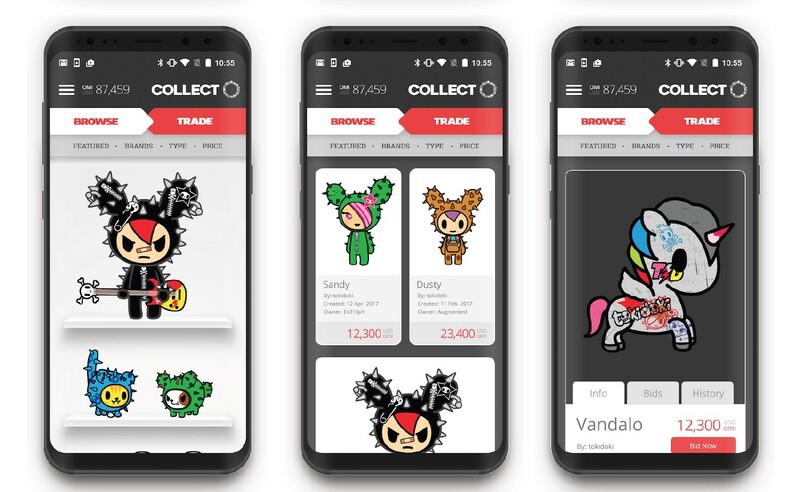 So, first and foremost, the non-fungibility offered for/by collectibles on the ECOMI Collect platform means that your digital collectibles are not only unique but also that a limited amount of them can be produced (as opposed to CryptoKitties, where the collectibles can breed to keep producing more collectibles). Second, ECOMI will create and issue NFT’s on the GO721 standard, to ensure speed, security and network efficiency. 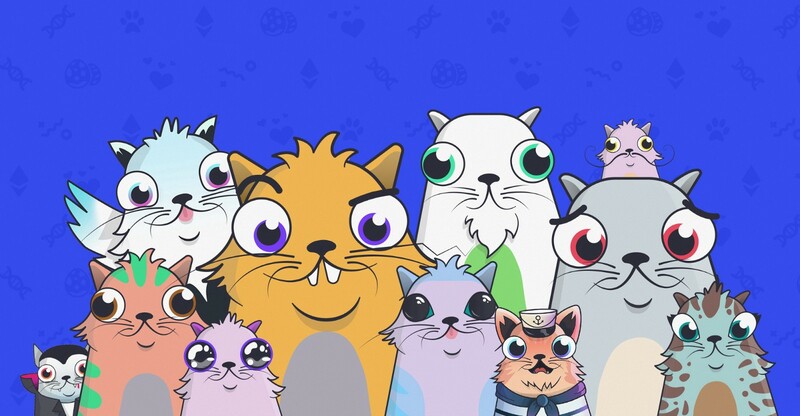 At its peak, CryptoKitties was responsible for more than 10% of all transactions on the Ethereum network, greatly reducing speeds and increasing transaction costs. Like all things ECOMI, Collect is designed to be simple to use. You will access and use ECOMI Collect in the same way you download and use apps on your smartphone. Creating a familiar and user-friendly way for everyone to interact with the blockchain, not just the tech-savvy. What Makes ECOMI Collect Unique? Collect will only feature licensed (and recognisable) digital collectibles and artworks, ensuring a fair and accountable system for both the producers of the collectibles and you- the new owners. Only limited amounts of each collectible will be produced, maintaining their rarity and value. It is designed to work in conjunction with the Secure Wallet and/or the ECOMI Collect Digital Wallet. This allows the seamless and painless storage of your NFT’s (collectibles) offline, for maximum security and protection of your new assets. Collectables offered by ECOMI can be displayed and shared on your own social wall, creating a network of collectors and allowing you to contact and purchase the item’s you choose. Interact with your digital collectibles through Augmented reality! View and alter their appearance, and use them in gaming scenarios. ECOMI Collect is expected to launch Q2 2019, coinciding with our public token sale. For more information please visit ecomicollect.com. For more information please see our pitch deck or join the community on Telegram, Twitter and Facebook.